Registration for almost League esea close, after that they give the rotation of maps and dates of matches as the need to leave focusing on the maps according to the order. Today we have the second league match in CEVO at 11:30 Central, the map will de_season. Tonight the myRevenge CSGO team won both matches 16-2 in the CEVO League. We will continue to progress so far we are 2-0 starting the league on the right foot. I'm glad to hear that you guys are doing well. i want say thx again for the hardwaer supprt for this event. finally they got the schedule of matches ESEA League starting next week as we put the first eight opponents. We will be informing what happens. First match scheduled for tomorrow 9/7/2015 First match of the ESEA season for the CSGO team. First Match of ESEA and the myRevenge MX CS:GO wins their first match. 16-11 on de_dust2. 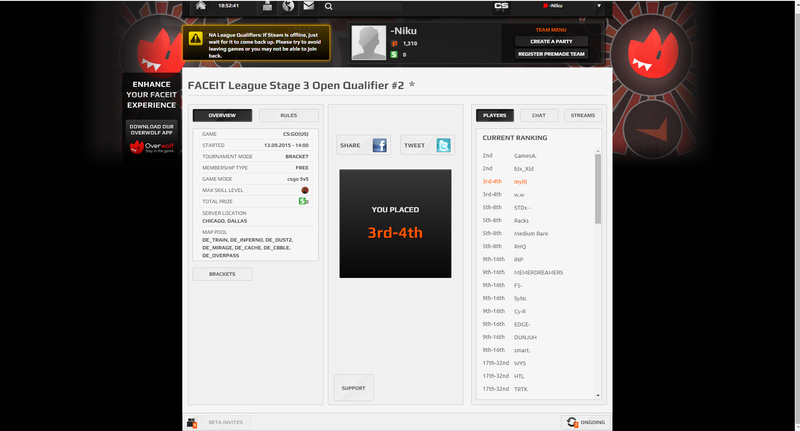 after winning our first match in ESEA, we now have the qualifiers for DreamHack by FaceIt at 7:00 pm Central. The Dreamhack qualifiers for North America has started with 128 teams in the tournament, myRevenge MX CS:GO team has advanced to the last 32 teams in the tournament. Tomorrow we will play another 2 matches to continue to advance. Thanks to the fans and the Tt eSPORTS family for the continued support. 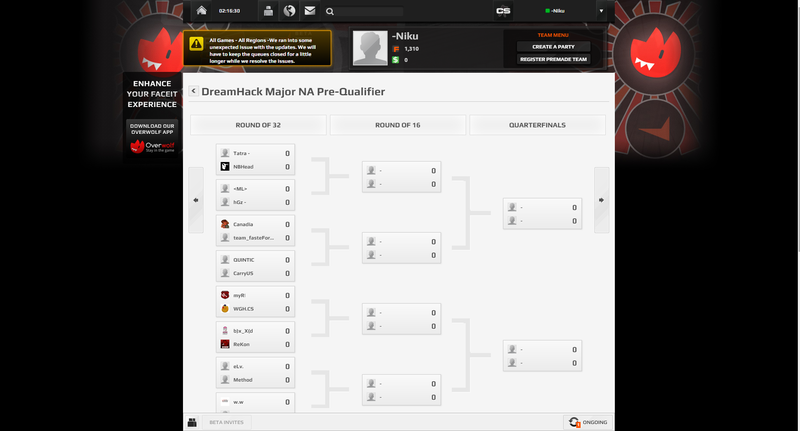 The Dreamhack North American Qualifier is about to continue with the last 32 teams in the bracket. today we have our second match of ESEA map de_dust2. The game will be at 11 pm Central, we go looking for the second win to have a positive record this season. Today the myRevenge MX CS:GO team is currently playing in the FACEIT League Stage 3 Open Qualifier #1. Out of 64 team we are now in the last TOP 8 teams of the tournament. wish us luck and we will work hard to win this tournament. 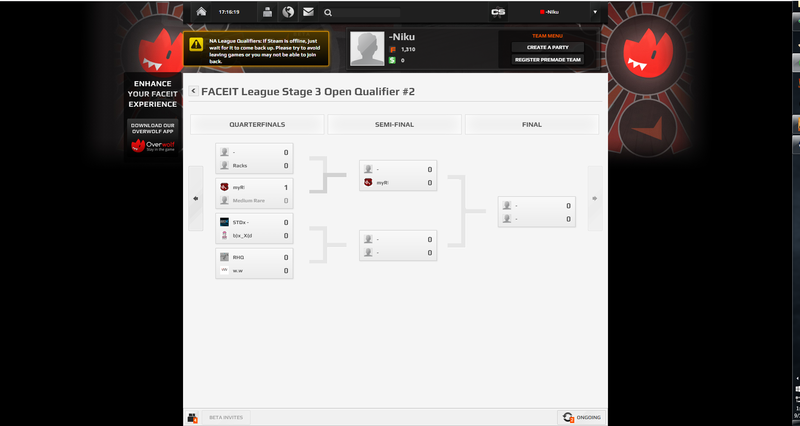 FaceIt playing qualifiers, we're expecting opponent for the quarterfinals. From 128 teams we are now in the FINAL 4 to qualify. With a tough Semifinal match myRevenge MX CS:GO was so close to making it to the qualifier, they take 3rd place in the 128 team qualifier. Thanks for your support to our fans and to Tt eSPORTS. You guys did your best. To us, that's all that matters. 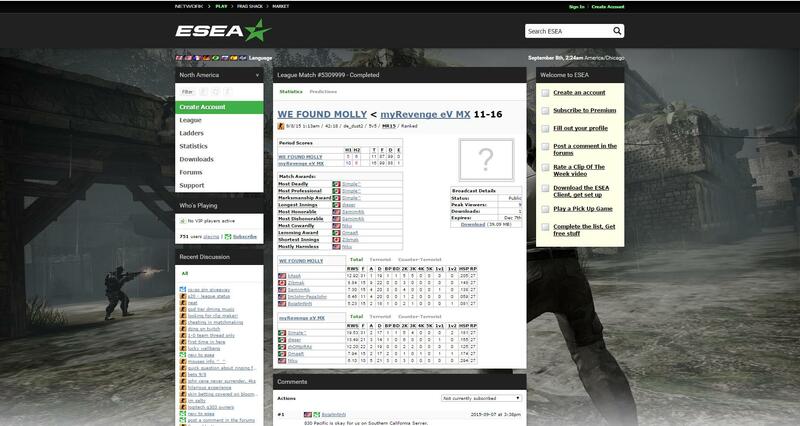 Our fourth victory with a Mexican team in the league esea !!! At the moment I find a solid team and fully prepared for this season !! Thanks to support ttesports! Today at 4:00 PM Central Time. we have our second league match in CEVO, gogo myRevenge we are on our second win !! Today we won our second game in CEVO ! !